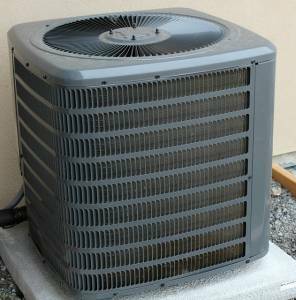 Is your air conditioner struggling to keep up with the heat this summer in Vaughan? Here are some telltale signs that your AC needs replacing as soon as possible, and easy fixes to ensure that your new Lennox air conditioner runs smoothly. Not sure how to work an air conditioning system? Trust only the experts, like Constant Home Comfort’s professional technicians in Vaughan who can easily identify these signs of AC problems, quickly fix them, and expertly handle the installation of Lennox air conditioners. There are only two reasons for an air conditioner to be low on refrigerant: it was undercharged during a poor installation, or it has a leak. Your air conditioner runs best at the correct amount of refrigerant, so if you find that you have a leak, call Constant Home Comfort in Vaughan to fix it. If your technician finds that the best fix is a new AC instead, check out the extremely efficient Lennox ACs, installed flawlessly by Constant Home Comfort in Vaughan. Outdoor compressors need plenty of room for the right amount of airflow to work correctly. Make sure there’s enough space between the unit and any plants or structures, and enough space above the compressor. A compressor installed poorly in the wrong location can result in a lot of extra headache down the road. Call Constant Home Comfort in Vaughan for expert Lennox AC installations. Air conditioners often have a thermostat sensor that measures the temperature of the air coming into the evaporative coil. The air conditioner could function poorly If the sensor is out of position or otherwise damaged. It’s always best to call the experts at Constant Home Comfort to fix issues like this. Get a Lennox AC, with expert installation by CHC in Vaughan, and get rid of all your old AC headaches. A clogged filter restricts airflow through the compressor unit and reduces its efficiency. If you Filters on central AC units should be often, especially if your system is running constantly or you have pets. This is a simple fix, but if you find that your air conditioner functions poorly even with a clean filter, it may be time to look for a new AC. Check out the energy-efficient Lennox ACs offered and installed by Constant Home Comfort in Vaughan. Vaughan summers can get humid, so check your air conditioner’s condensate drain to make sure it’s functioning properly and draining well. Room air conditioners may not drain as a result of a poor installation. Call Constant Home Comfort in Vaughan to fix a poor installation today, or if you need a new AC, call for great deals on efficient Lennox ACs. Need help fixing your air conditioner? Need a new air conditioner altogether? Call the experts at Constant Home Comfort in Vaughan at 1 888 829 1875 for repair and installation of Lennox air conditioners.